This year, the Chinese New Year Day is on February 10, 2013. So, you have got a second chance to make some new year resolutions. Let’s listen to the Year of Snake wishes from Asian folks in the greater Boston area. 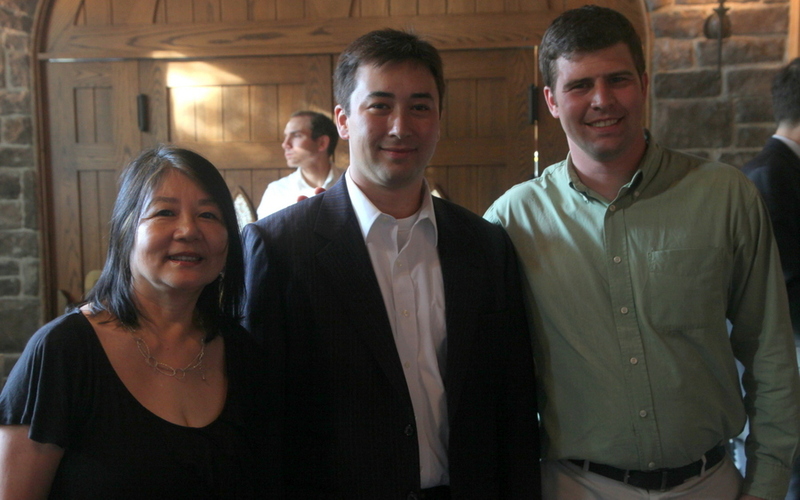 Leland Cheung (middle) with supporters at an August 2012 fund raising event. I wish everyone a great start of Year of Snake. The new year offers new opportunities to continue building on our strong foundation for an even better Cambridge. This year, I plan to focus on improving transportation through expanding the Hubway bikeshare program, providing office space for our job creators to keep our economy strong and strengthening the city’s use of technology to ensure that residents stay informed and connected to city government. It is an honor and privilege to serve as City Councillor and I look forward to implementing these new ideas in the year ahead. 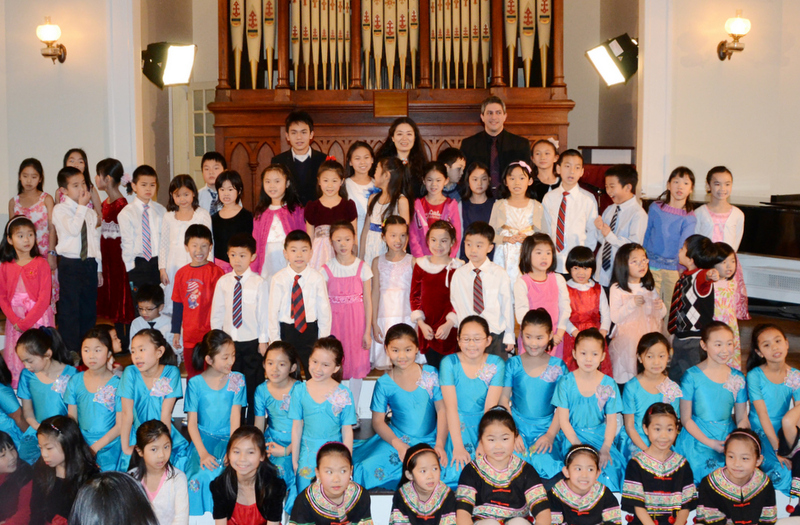 Ying Wu and her students at a January 2013 concert in Lexington, Mass. My New Year wish is that my 4-year-old son will be able to come to the United States for our reunion. Also, I hope I can visit my father in my hometown of Shaoxing city in Eastern China in August 2013 to celebrate my father’s 60th birthday. I also have a grandmother in her 80s, and I wish her continued health and happiness in the new year. I was working in NYC when 9-11 occurred back in 2001. Last December, I was deeply saddened again by the Connecticut school shootings. Twenty 6-7 years old innocent children’s lives were mercilessly taken away. I wish the Congress in the new year will pass laws to ban the sales of assault weapons and ammunition, tax owners of assault weapons and budget for weapon buyback programs. 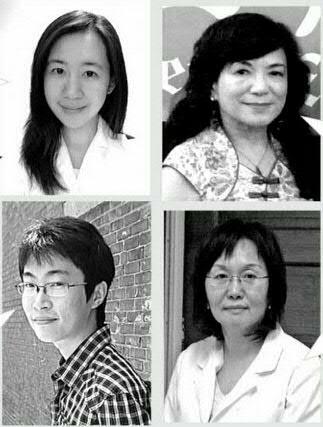 (from top left clock wise) Zuyi Weng, Phoebe Phong Chang, Dr. Yi Wang, Chenguang Zhao. In the past year, I studied very hard and had little time to relax. In the new year, I hope I can finally complete my doctoral studies, and have enough time and money to drive across the US along I-90 with a friend. Happiness is as sweet as honey. I wish I can often take a quiet walk along the Charles River in a leisure afternoon, holding the hand of my loved one. I got married last year in Boston, and we didn’t even have time for a honeymoon. I wish my wife and I can visit relatives and friends in China in the new year. We also plan to buy a house for the first time. My wife is working in the IT industry, and I hope I can start a Ph.D. program in a field that I’m interested in from September 2013. I have hosted a dozen or so workshops at Harvard Yenching Library last year. I visited Peking University, Northern Normal University and other educational institutions in China. I wish all living creatures can be spared from natural or man-made disasters in the new year, and peace and love will be shared with all peoples on earth. I also wish my writer friends will have a productive new year with many creative work. I have had a busy year working at Arlington Family Dental and also teaching at BU dental school last year. My biggest wish for the new year is that all my family members will have a peaceful and happy new year. My twin sons will continue to develop intellectually, emotionally and physically as high school students. I also would like to remind everyone to pay close attention to dental health so that you will have a beautiful smile in the new year.